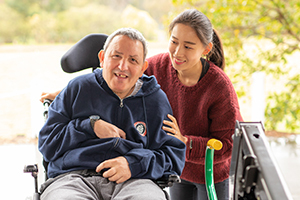 The National Disability Insurance Scheme (NDIS) is a program that is designed to help you get the support you need now and as your needs change. 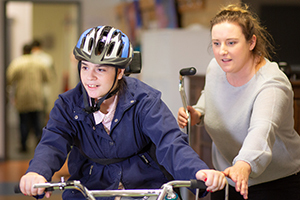 Under the NDIS you are funded to access supports that will help you reach your goals and increase your independence. An Australian resident, Australian citizen or hold a Protected Special Category Visa. Live in an area where the NDIS is available. Currently require support from people or equipment, or require supports now that will reduce your support needs in the future. Your eligibility to access the NDIS is determined by the National Disability Insurance Agency (NDIA). For more information, please visit the Access Checklist on the NDIS webpage. Once you are deemed eligible, you will need to apply to the National Disability Insurance Agency (NDIA) by calling 1800 800 100. When your application is approved, you will be contacted by the NDIA so you can begin the planning process. You will work with someone from the NDIA (National Disability Insurance Agency) to develop your plan. This is generally done at a planning meeting, either in person or over the phone. In this meeting you will discuss your goals and tasks you want to achieve. This will influence what is included in the plan. Once your plan is complete, the NDIA must approve it. Once it is approved, you will receive your finalised plan. If you need help to coordinate your supports and services, you may be funded to engage a Support Coordinator in your plan. Organisations such as Able offer Support Coordination services to help you connect with supports, services and activities in the community. Support Coordinators are generally funded for people with more complex and specialist support needs. If you don’t have a Support Coordinator funded in your plan, you will have a LAC appointed who can help you understand and use your plan. LACs will be able to provide you with ongoing support should you need it.